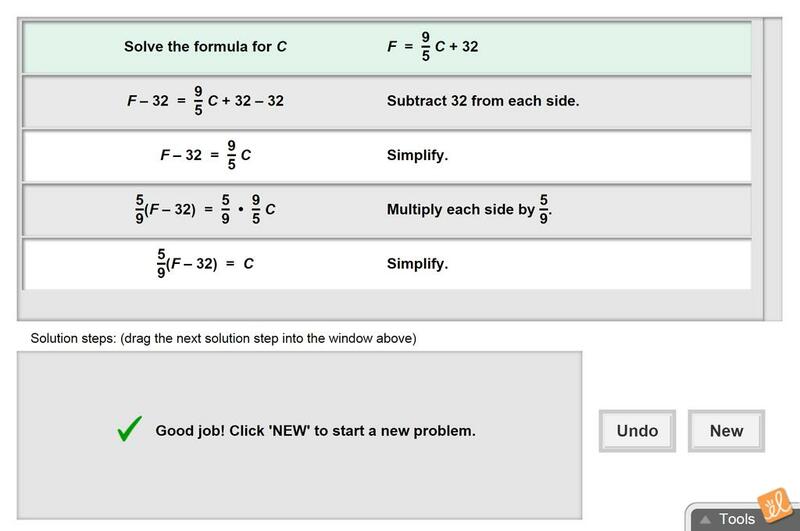 Choose the correct steps to solve a formula for a given variable. Use the feedback to diagnose incorrect steps. This document is the French translation of the Student Exploration Guide for Solving Formulas for any Var... (more)iable. This translation was made possible by Alberta Regional Professional Development Consortia and ExploreLearning. This document is the French translation of the Assessment Questions for Solving Formulas for any Variable... (more). This translation was made possible by Alberta Regional Professional Development Consortia and ExploreLearning. 9 variations of formulas given, 3 of which can be used directly in assessment.Good practice with immediate feedback.